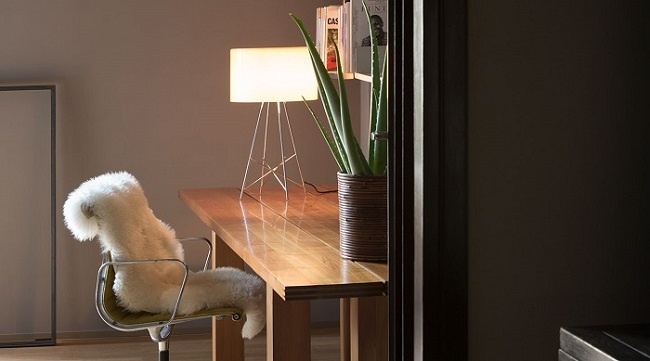 A designer table lamp is the perfect way to breathe life into any modern living space. With a variety of options, ranging from more traditional decorative lights to contemporary designer table lights that complement your interiors in an energy-efficient manner. Here are some things you consider when shopping around for the right designer table lamps for different areas of your home. The interiors of your home are perhaps the biggest factor to look at while choosing one or more table lamps. You might be living in an upscale urban apartment or a luxurious countryside villa, and you might have slightly varying décor schemes for different rooms in the house. The key is to ensure that the table lamps that you select merge seamlessly with your predefined décor and complement it. 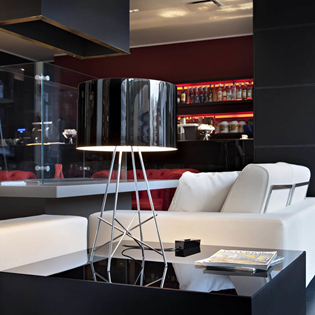 The design and color of the table lamps would largely depend on the décor and colors that you already have in a room. 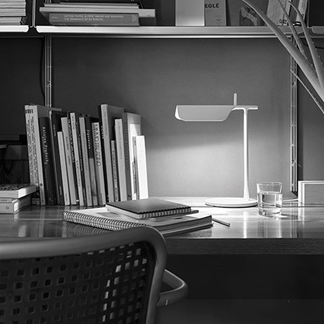 It is important to define the table lamp’s purpose in the specific setting. For example, you might want general ambient light in your living room, or task lighting for reading books, or accent lighting for drawing attention to a specific element in a room. At times, you might just want to add a lamp as an embellishment in a frequently-used region such as the dining or living room. Table lamps generally create distinct points of focus and lighting, so it is essential that you first define which sections of a room you wish to highlight using such lighting. It goes without saying, but an oversized lamp in a small study or a tiny table lamp in a massive living room would look strangely odd. One of the most crucial considerations when choosing designer table lamps is the ratio of the lamp size to the room size. Look at things such as the size of the lampshade, bulb, neck, stem and base, along with the height and width of the lamp. Distinctive options such as Gatto by Achille Castiglioni break the norm and offer you with a unique perspective, standing out and yet fitting in perfectly with modern interiors (especially where a soft glow is what you are looking for). 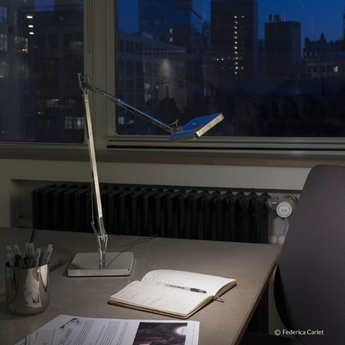 Follow this rule of thumb: When you place the lamp in an area meant for sitting (study, dining room, living room), the bulb and neck of the lamp should never be visible. Ensure that the bottom of the lampshade is at eye level. And if you are installing/placing a lamp on your bedside table, your chin (when you lie down) should ideally be in line with the lampshade. 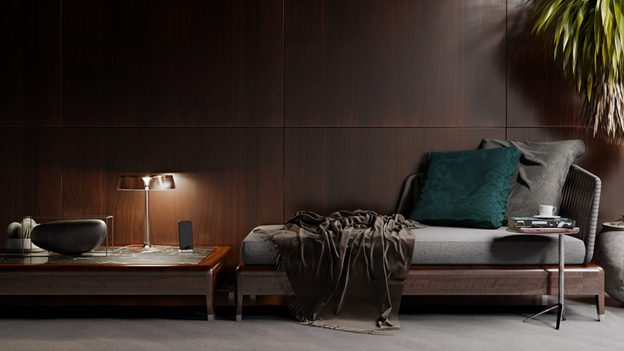 Table lamps have evolved over time, reflecting changing technologies and tastes. The plethora of options available in the designer lighting space include a great blend of timeless designs, vintage classics and fresh concept-based lamps. 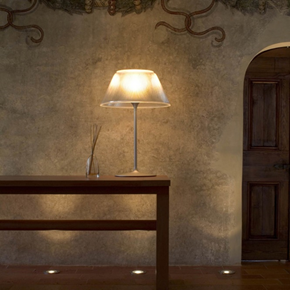 Modern-day decorative table lamps are diverse in terms of design as well as usage. 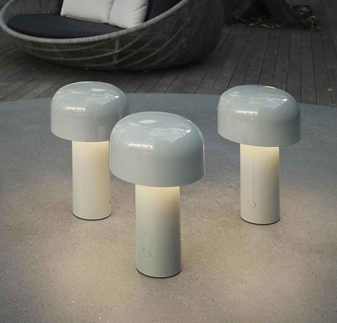 At FLOS, you can find a diverse assortment of designer table lights, including bestselling creations from world-class designers, like Philippe Starck’s Archimoon K and Bon Jour, Jasper Morrison’s Glo-Ball T, Ron Gilad’s Goldman, and the ever-so-beautiful IC Lights T by Michael Anastassiades.